These are lyrics by Bryan Adams that we think are kind of repetitive. 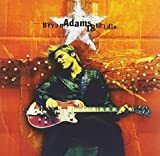 Bryan Adams', "Cloud No. 9"